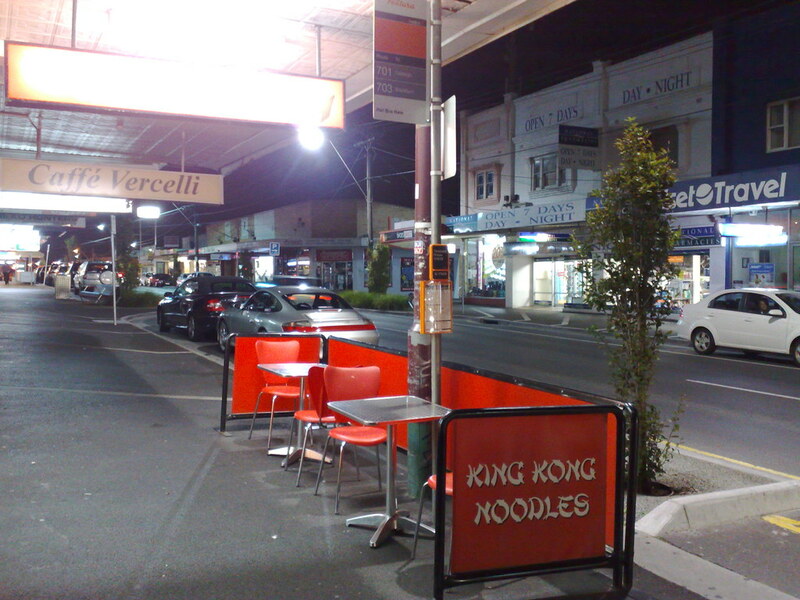 Every suburb needs a combined noodle shop and bus stop. 2 minutes for the noodles, how long for the bus? But can you nom your noodles on the bus? @Roger Smartbus about 15 mins. Normal bus about half an hour. Good Idea to have a bus stop next to a food shop or cafe while you are wating for the bus. You can also use the toot in the cafe if they have them. At least they’ll have well-maintained seating and shade for the commuters. They might not have the best sense of placement, but would highly recommend that noodle shop! @Viv, I’ve had their Singapore noodles; was good. @Grant, yes, the bus stops just in front of the tree. They have a surprisingly tight turning circle for moving out from the kerb. Mind you, you’re right, the divider bit didn’t used to be there; perhaps the sign should be moved a few metres.